Delegates at the popular Southern States Conference team up to overcome the unique challenges of organizing and representation in southern states. 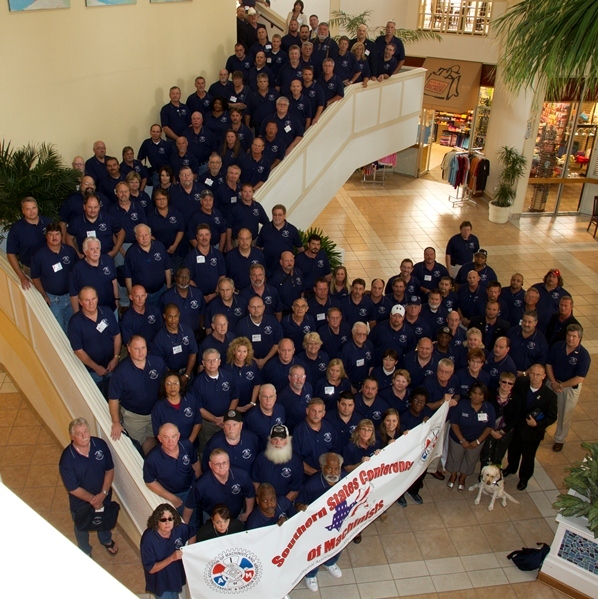 Organizing and outreach efforts to young Machinists topped the agenda for the second Southern States Conference held in Myrtle Beach, SC. The highly successful conference provides tools and resources for IAM leaders and activists and focuses on the unique challenges in the mostly right-to-work (for less) and often anti-union south. The conference featured popular workshops on Service Contract and In-plant Organizing in the south, along with training to mentor and develop young activists within the IAM. General sessions included updates on the IAM’s political activity and legal actions. “The Southern States Conference is playing an important role in educating the leadership, present and future, of the Machinists in the south,” said Conference President and IAM District 711 Directing Business Representative Rickey Wallace.